You may know Dasher and Dancer, but only a few of us grew up with knowledge of der Krampus the horned creature in German folklore who kept kids in line way better than some elf on a shelf could ever do. But since the Krampus is about to get his own movie, we suspect that a lot of kids will nervously be asking about this super-spooky creature who comes for the “naughty” kids at the holidays. You can reassure them that der Krampus isn’t going to bother them one bit with this great little song from one of our favorite kindie bands, The Hipwaders. All That Krampus Wants (is High-Fives for the Holidays) is a snappy, lounge-y, cover song written by Portland’s Pointed Man Band about a creature my Austrian mother introduced to us many, many years ago. Though, unlike the monster of my nightmares, this Krampus has reformed and just wants a little positive reinforcement in the form of high-fives. Go ahead–just watch out for those horns. 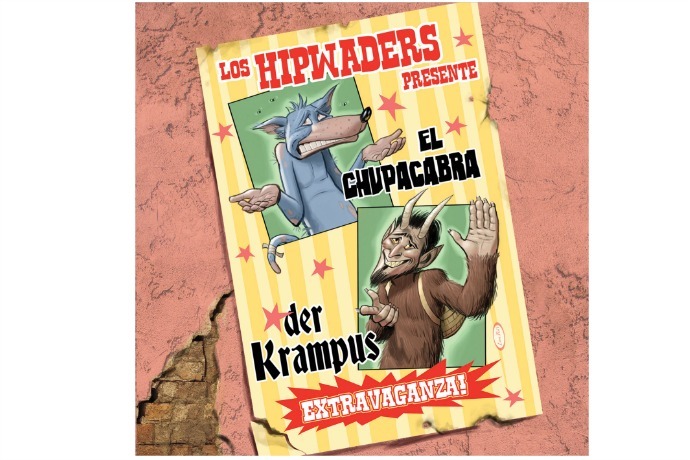 Download a copy of The Hipwaders version of All That Krampus Wants (is High-Fives for the Holidays) at our affiliate Amazon.